The logistics industry is being given a leg up to support the sudden growth in e-commerce as well as the government’s Make in India initiative. The Maharashtra Government, which is taking a lead in this initiative, has lined up plans to expedite an earlier programme to develop Nagpur, the central point of India, as a multi-modal logistics hub. 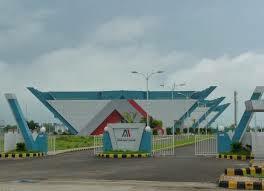 Maharashtra Chief Minister Devendra Fadnavis said while addressing a three-day convention of Federation of Freight Forwarders’ Associations in India (FFFAI) here, “To support the Make in India’ initiative, we are coming up with an integrated logistic park at Bhiwandi, near Mumbai, on 2200 hectors of land. The plan is ready, and soon a state-of-the-art facility will come up to give a boost to the logistics industry. Addressing the conference Guruprasad Mohapatra, Joint Secretary, Ministry of Commerce, said new routes must be developed for CIS countries which had emerged as major trade partners of India.